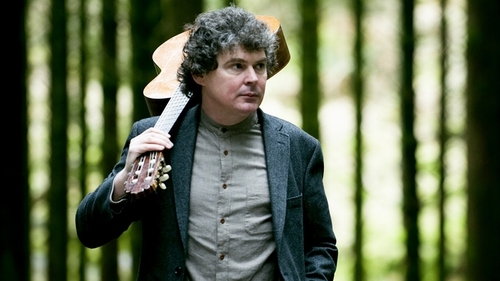 A shout out from me, John Spillane, for the Irish Language Songs! In case you hadn't heard, Mary Black is presenting Ireland's Favourite Folk Song, a five-part series on RTÉ Television in April 2019, looking at ten songs selected by a jury from nominations by the public - to date, RTÉ have had thousands upon thousands of nominations, but not that many for our Irish language songs! Ireland has the greatest folk and traditional music of any nation under heaven. We have the biggest and richest store of traditional music, song and dance. When it comes to folk songs, we are rich beyond measure. But what makes our folk songs so deep and fantastic is that they are based on older songs. In the Irish folk tradition, the material is re-worked by each new generation. The tradition moves forward in a cyclical fashion. To illustrate my point on the cyclical nature of Irish Folk Song I would like to mention two songs that must surely be in the running for Ireland's Greatest Folk Song - Raglan Road and Carrickfergus. Both melodies are very Gaelic and very beautiful and very old, and both sets of lyrics are rewritings of older Gaelic songs. So Raglan Road is Patrick Kavanagh's version of Fáinne Geal an Lae (The Bright Ring of the Day) and he has simply moved it from the shores of Loch Léin in Kerry to the leafy suburbs of Dublin 4. But he has kept the feeling, and it is the feeling that captivates and enchants us. It is the same song, a modern day Aisling, a fleeting glimpse of an otherwordly woman, and is brimful of that great sense of loss that pervades all human existence. I was lucky enough to have a job as a song detective for TG4 for the series Na Bailéid, and was fascinated to learn that Carrickfergus is based on the older Gaelic song Do Shiúlaíos Éire (I Walked Ireland). Some of the Gaelic verses survive in the bi-lingual version to be found on the iconic Ó Riada Sa Gaeity album, sung by the great Seán Ó Sé. It is most probably not about Carrickfergus in the North at all, where King Billy famously came ashore, but about a poor man in North Kerry gazing longfully across the Shannon Estuary at the River Fergus in Clare. Unless we build a song drone that can move back in time, we will never know the full truth, but it is my belief that both Raglan Road and Carrickfergus were originally Kerry songs. I'm from Cork, by the way. Anyway, I know that the relationship between the Irish people and the Irish language is very complex and involves a range of emotions from embarrassment to pride to shame to post-colonial stress disorder but for my own part I consider the language to be a treasure trove of literature, mythology, culture, music, history and identity. A vast national resource. And so I ask you all to consider nominating your own fave Irish language Gaelic number for this exciting new series Ireland's Favourite Folk Song! 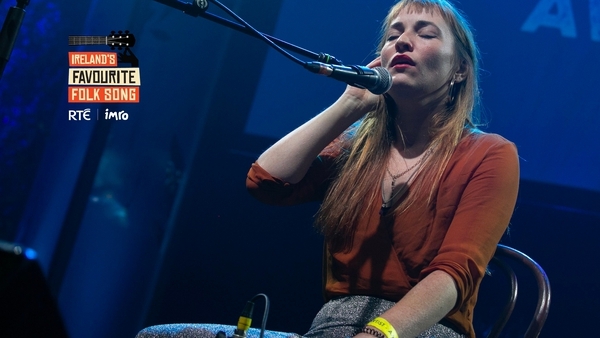 Cast your nomination for Ireland's Favourite Folk Song here.